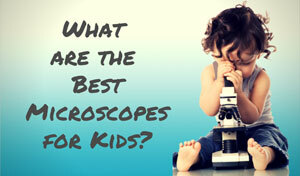 Prepared slides can bring the microscopic world to life, both in the classroom and at home. However the process of making them yourself is time consuming, as it takes some practice to get the slides right. 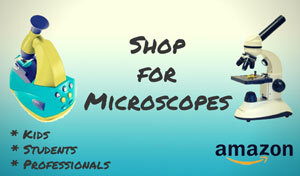 Home Science Tools has a variety of prepared microscope slides that can save you the hassle and let you start exploring. Each slide in the various Home Science Tools kits is made by hand with the expertise of professionals. The best samples are then selected and mounted. Slides often have several stains in order to show the intricate details of the specimen, so they're designed to display the sample in the best possible way. There are a lot of subjects to choose from when selecting prepared slides. 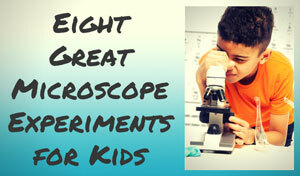 Home Science Tools covers topics like anatomy, botany, pathology, zoology, and general biology. This is certainly a nice selection, but it can make it hard for you to know where to begin. We took a closer look at some of these sets in order to help you make the right choice for your needs. The general biology set is a good place to start. 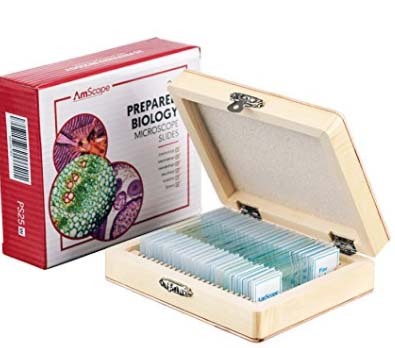 This set contains twenty-five glass slides that cover a variety of samples such as plants, animals, and protozoa. It also comes with a plastic storage box to keep the slides safe. 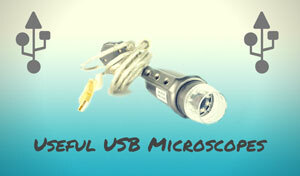 This set is ideal for the novice or pre-high school microscope user. When you are ready to move further in your study of prepared slides, you may want to consider the human anatomy set. This set has sixteen glass slides in a plastic storage box. The samples cover the major organs, tissues, and cells in the body. If plants are your thing, than the botany set will fascinate you. This twenty-five slide set explores both vascular and non-vascular subjects in the plant world. These botany slides let you look at monocot and dicot tissues, as well as the process of cell division. Also included are slides that compare young and mature tissues, a great way to learn about plant development. 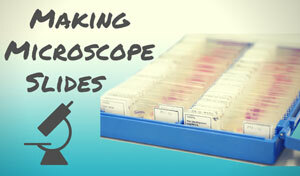 For a closer look at the animal kingdom, the zoology prepared microscope slides are a great choice. This set has twenty-five slides that cover a range of species and an included plastic storage box. The slides examine the many structures of the organs that keep the animal kingdom hopping. Water is a fascinating subject, especially when you consider the amount of life forms that call it home. The water life set has twelve slides that cover the tiny organisms that exist in the watery world. There is a lot to see including bacteria, algae, crustaceans, and fish scales. Pathology is a fascinating topic and the slides in this set will help you learn more about the subject. There are twelve prepared slides in a plastic storage box that cover a variety of human diseases. These slides are research quality, and will bring to life the diseases you may have read about. Included are human blood smears, as well as sections of cancer-infected organs. You'll find tuberculosis, kidney pyelonephritis (bacterial infection), and gallbladder cholecystitis (inflammation) samples as well. There are also healthy tissue slides that you can purchase for comparison purposes. This is a really interesting set, if not a little scary to think about! Microscopy study is a fascinating field, as an amazingly different world opens up to you when you take a closer look. Prepared slides can make your learning task easier by giving you a variety of high-quality specimens to view. The sets from Home Science Tools are very reasonably priced, between $10 and $40 for each set. All sets come with an interesting variety of samples and their own plastic storage case. Whether the prepared slides are for a beginner or the advanced scientist, the specimens from Home Science Tools can make the microscopic world come to life.